The City of Romna at first glance may seem like a small city with antique architecture. Most of the buildings are built of massive columns and flat roofs that strongly resemble the times of the Roman Empire. Construction of the city is about six months and during this time the author was able to form such a mini city, it can be called a cozy settlement. On the streets there are fountains, each building has a decorated interior and a beautiful palace is located almost at the highest point. This place offers a beautiful view of the whole city. How to install the city? 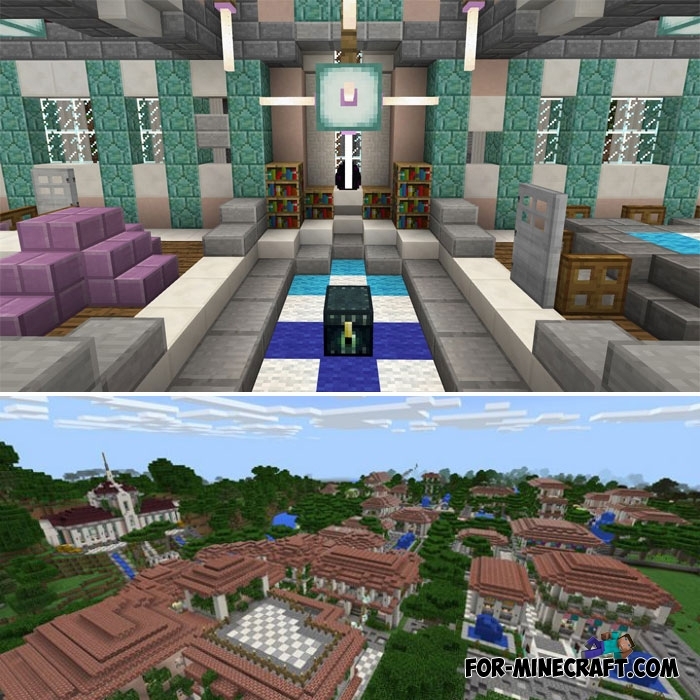 Download the map and open it using Minecraft PE. Chernobyl Empire map for Minecraft PE 0.12.1Map is compatible with the latest version of MCPE 0.12.1.